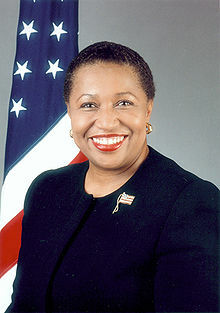 Carol Moseley Braun (born 16 August 1947) is an American politician and lawyer, and was the first black woman elected to the United States Senate. The Islamic community today is faced with a new version of an old struggle. My late mother used to say it doesn't matter whether you came to this country on the Mayflower or on a slave ship, through Ellis Island or the Rio Grande. We're all in the same boat now. This page was last edited on 18 February 2018, at 12:24.